Kathryn L. Ryan - For the Industry. By the Industry. 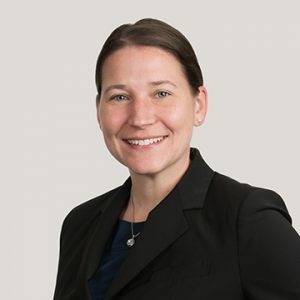 As Partner in Buckley Sandler’s Washington, DC office, Kathryn “Katy” Ryan advises financial services companies on a variety of regulatory, licensing, compliance, and transactional matters, including federal and state compliance requirements, Secure and Fair Enforcement (S.A.F.E.) Act compliance, Federal Housing Administration (FHA) compliance, and the risks associated with the False Claims Act (FCA) and Financial Institutions Reform, Recovery, and Enforcement Act (FIRREA). She also provides strategic and tactical advice to help clients identify and secure the nationwide federal and state approvals necessary to achieve operational goals.